What is FeedBACK Casino ? How you can compare trusted online casino ? 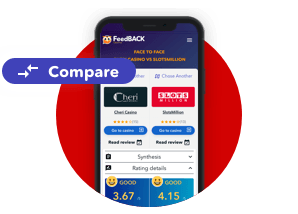 What is the FeedBACK Casino Comparison Tool? 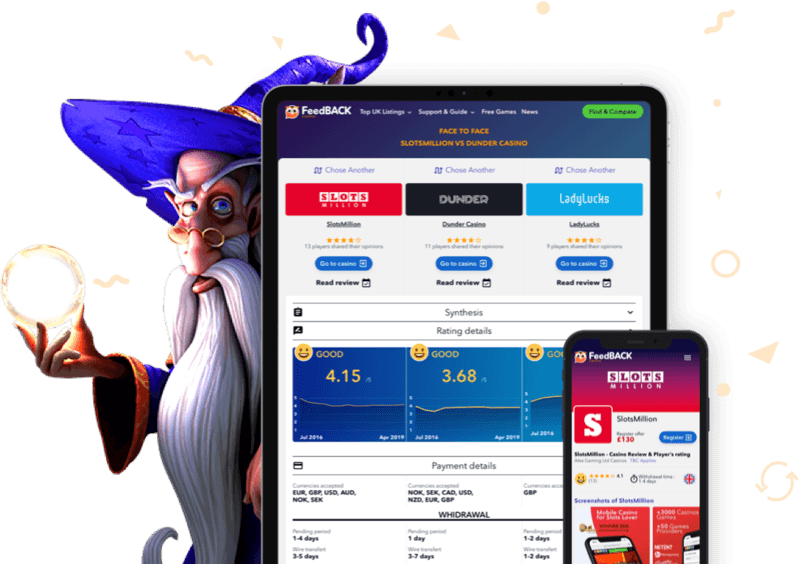 The FeedBACK Casino website was born out of the desire to develop something new and unique for the online gambling market by introducing the first casino comparison tool. The team shares their passion for technology, integrity and user experience, by creating a new way for players to find the online casino that best suits their needs. Your first casino can be selected by using filters. From there, you can then add upto two more online casinos for a side-by-side comparison of all three. Find casinos that accept players from your country. 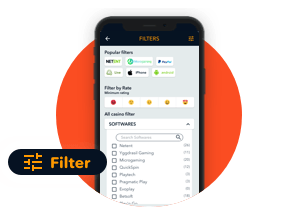 Set the filter to best suit your preferences: software, payment methods, games, etc. Compare the features of two or three casinos side by side. FeedBACK Casino is not just a casino comparison tool. Feedback Casino also offers the Trust Flow which is the average of casino ratings left by members of our community. It is illustrated as a curve, which makes it possible to spot the trend in reliability over time. 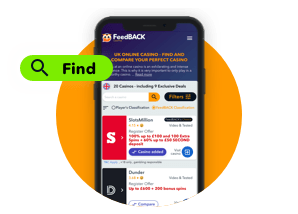 FeedBACK Casino is also a place where players can chat about their experiences and talk freely about any problems that they've encountered at their online casino. The goal is to bring the community together. The goal of FeedBACK Casino is to reinvent the wheel when it comes to sharing information on casinos – shifting some of the power back into the hands of players! This will help them to get the most out of an online casino experience. Our aim is to assist a player each step of the way, from finding a good casino, discovering the latest games, or helping with a gambling problem or addiction. Our team also negotiates with online casinos for exclusive bonuses and special offers and can act as an intermediary with the casino if a player is experiencing a problem.